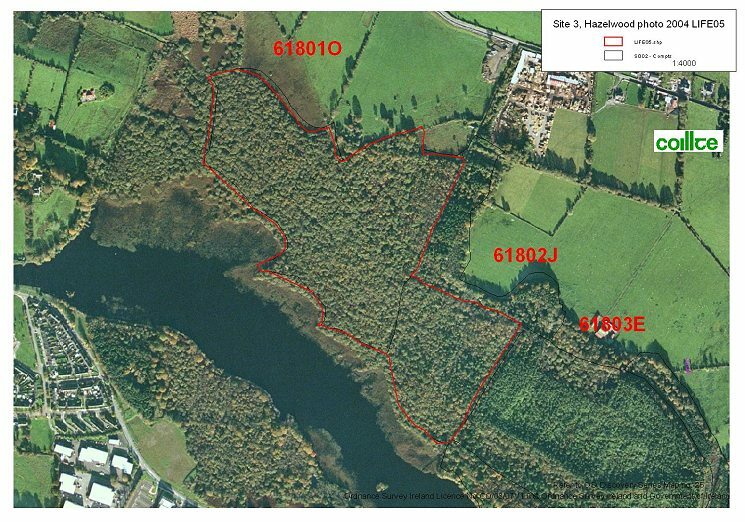 Hazelwood was selected as a demonstration site for the project as it is located within walking distance of Sligo town. This alluvial woodland borders the Garavogue River and is beginning to be impacted upon by urban expansion. 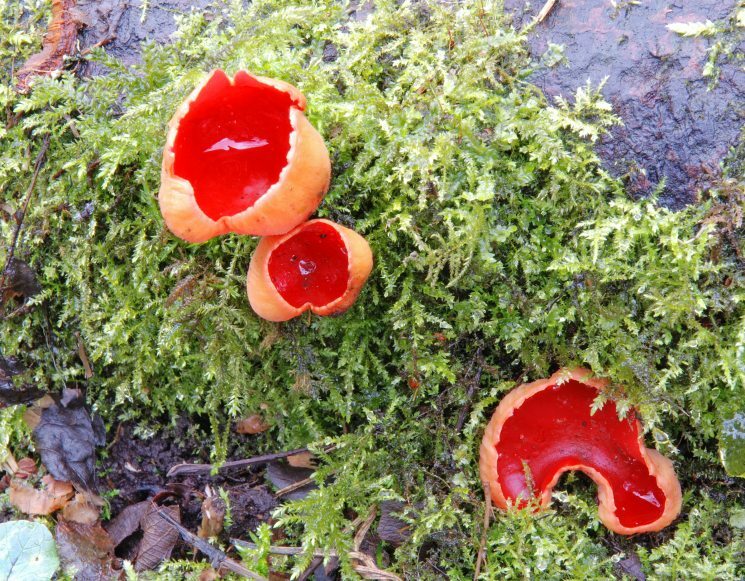 It represents a significant proportion of the national total of alluvial woodland habitat type. Under natural conditions, this woodland would be subject to periodic flooding from the neighbouring river. Although the area was drained in the past to enable tree planting, over time these drains have become blocked with vegetation and are now largely ineffective. This has resulted in Hazelwood retaining much of its original hydrology and making it an excellent candidate for woodland restoration. To reinstate natural water regimes, as far as possible, dams are being strategically installed across old active forest drains. Hazelwood is classified as former 'old woodland' and this is confirmed by the presence of broadleaved woodland on the 1830 OS map. The main legacy of past afforestation efforts now lies in the scatted presence of Scots pine (Pinus sylvestris) and small stands of Norway spruce (Picea abies). 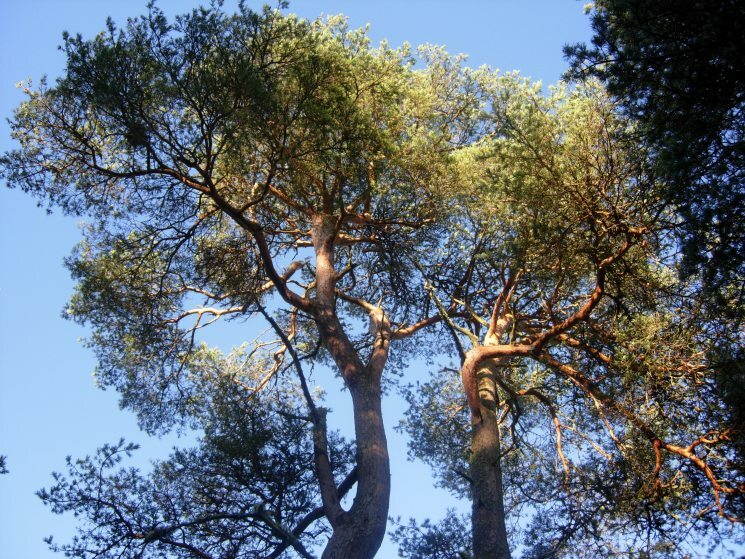 Some of the original Scots pine, can be seen standing in skeletal form, having failed to cope with the wet soil conditions, while many others now lie blown over. 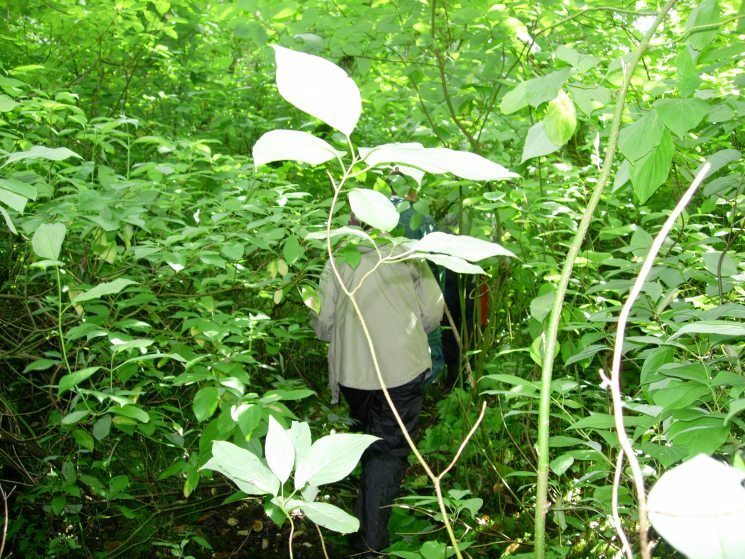 The primary threat to the integrity of this woodland habitat is the continuous dense growth of the exotic shrub, rhododendron (Rhododendron ponticum), and to a lesser extent cherry laurel (Prunus laurocerasus) and dogwood (Cornus sericea). Where they occur, predominantly associated with paths and tracks, they cast dense shade and have all but obliterated the native ground flora. The native tree species of the site are dominated by willows (Salix spp.) 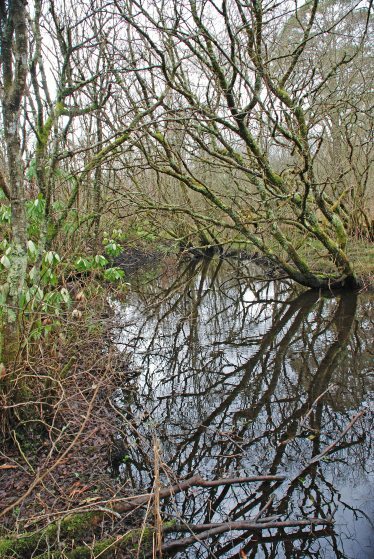 and alder (Alnus glutinosa), along with ash (Fraxinus excelsior), birch (Betula pubescens) and whitethorn (Crateagus monogyna), which together form a dense carr. On drier ground there are some large mature oak (Quercus spp. ), beech (Fagus sylvatica), lime (Tilia spp. ), poplar (Populus spp. ), holly (Ilex aquifolium) and yew (Taxus baccata). The ground flora is typical of wet woodlands, and includes reeds (Phragmites australis), marsh marigold (Caltha palustris), flag Iris (Iris pseudacorus), meadowsweet (Filpendula ulmaria), marsh bedstraw (Galium palustre), bent grass (Agrostis spp. ), purple loosestrife (Lythrum salicaria), skullcap (Scutellaria galericulata), marsh cinquefoil (Potentilla palustris), wood dock (Rumex sylvatica), common valerian (Valeriana officinalis), marsh ragwort (Senecio aquaticus), gipsywort (Lycopus europaeus), bramble (Rubus fruticosus agg. ), wood avens (Geum urbanum), hedge woundwort (Stachys sylvatica), nettles (Urtica dioica), ivy (Hedera helix), horsetails (Equisetum spp.) and willowherbs (Epilobium spp.). These wet alluvial woodlands habitats provide an important refuge to amphibians, and other water demanding species. The potential quality of this site as an alluvial forest is extremely good. It is a relatively large site and the hydrology is comparatively intact. The forest vegetation is extremely well developed despite the invasion of exotic species. It would therefore be true to say that this site is of considerable nature conservation importance. Using the Natura 2000 ratings, Hazelwood has been ranked as having Good Conservation Prospects, i.e. Ranking B. 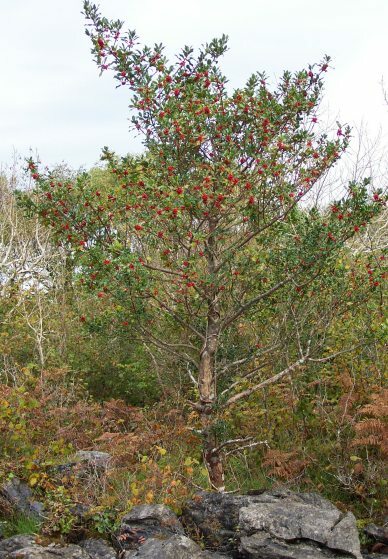 The project restoration techniques primarily through the removal of exotics will enhance the ecological value of this wet woodland considerably.